She wants to ease the cost of living for residents and focus the Council on services and programs that build a strong community, support business and employment, and safeguard Townsville’s lifestyle. Cr Hill is also committed to developing a strong council team to serve the city over the next four years. Essential to this is ensuring that all councillors work in the best interests of the city. Councillor Hill was born and educated in Melbourne, Victoria, and graduated from LaTrobe University with a Bachelor of Science in 1981. The following year she moved to Townsville with her fiancé who was enlisted in the Australian Army. Cr Hill has 23 years’ experience as a scientist with mining companies, the Department of Primary Industries, James Cook University and Townsville Hospital. She has also completed a Masters of Public Health and Tropical Medicine at James Cook University, which included management, economics and accounting. In 1982 she joined the Army Reserve, first serving in the Royal Corps of Australian Electrical and Mechanical Engineers (RAEME), maintaining and recovering defence vehicles. In 1987, she graduated from the Officer Cadet Training Unit (OCTU) as a General Service Officer (GSO). Cr Hill has over 20 years’ service in local government. In 2012, she was elected the first female mayor of Townsville. Cr Hill is married with two adult children. 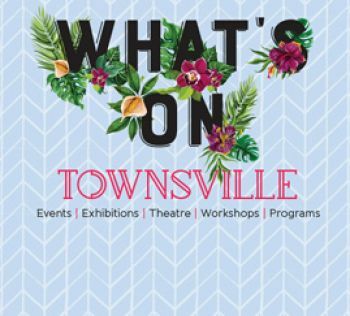 She is passionate about Townsville and its tropical lifestyle. She is a car enthusiast and is a keen supporter of junior sporting clubs and school P&C committees. On the national sporting scene, she supports the Cowboys NRL team but is still an avid fan of her AFL club, Collingwood. She loves reading and enjoys strategy games. The official title of the Mayor is Cr Jenny Hill, Mayor of the City of Townsville. In the second reference, this form of address becomes Cr Hill. If you are writing to the Mayor, the appropriate salutation is “Dear Cr Hill” or “Dear Mayor”.